, launched the new brand campaign for the beer which positioned it as a unisex, uncomplicated option. 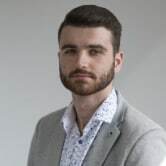 The ad heavily featured the soon to be defunct pull rings and it remains unclear as to what impact this will have on the work, which ran across TV, cinema, social and digital. As part of the move to ring pulls, Carlton Dry bottles were also reduced from 355ml to 330ml to avoid increasing the price. In a bid to keep the prices unchanged, Carlton will not be passing on any of its increases in production costs for a 12-month period and won’t pass on the Government’s February increase in beer tax. "Campaigns aside, our first and biggest concern is always the consumer experience. At the end of the day we sell beer, beer that people need to open to enjoy. If we made that experience even a little bit worse then we have done the wrong thing," Carlton Dry brand director Brian Phan said. "Our social post has had a huge level of engagement. We think this speaks to how important it is to listen to people who love your product and admit when you’ve stuffed up." Today the brand also put a full-page ad in major daily News Corp publications including the Daily Telegraph and the Herald Sun. Clemenger Melbourne previously handled the Carlton Dry account, but still remains on the CUB roster on other brands, such as Carlton Draught and VB. This isn't the first time CUB has made its mistakes when it comes to making changes to its staple products. In 2012, Victoria Bitter received widespread backlash after it announced it would be lowering the alcoholic content level. The decision was swiftly reversed. CUB national partnerships manager Hugh Jellie previously told AdNews that the business would continue to step outside traditional marketing strategies, which have recently included a VB merchandise store and a competition to recreate the brand's iconic jingle. Carlton Dry has been forced to pull its recent marketing campaign that celebrated swapping out its traditional twist top bottles for 'ring pulls'. In a statement from the company, Carlton United Breweries (CUB) apologised to its loyal drinkers, adding that "of all the brands to over-complicate things, it should never have been us". "We thought this would make Australia’s most uncomplicated beer even simpler. We were wrong," a statement read. "We’ve listened to our consumers and it’s clear they prefer opening their beers the more traditional way." 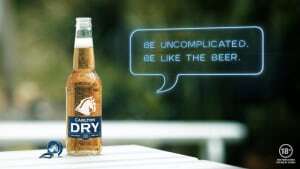 Special Group, which was appointed to the Carlton Dry creative account in October, launched the new brand campaign for the beer which positioned it as a unisex, uncomplicated option.